We’re already calling it…it’s going to be a “Souper September”! Why? 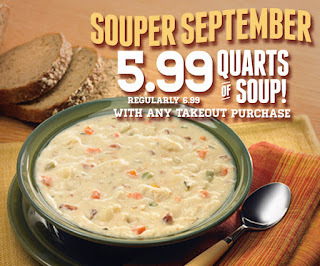 All month long, you can enjoy a quart of soup to go for only $5.99 with any takeout purchase. Talk about a “Souper” deal! Hurry in soon - "Souper September" ends on Friday, September 30th!